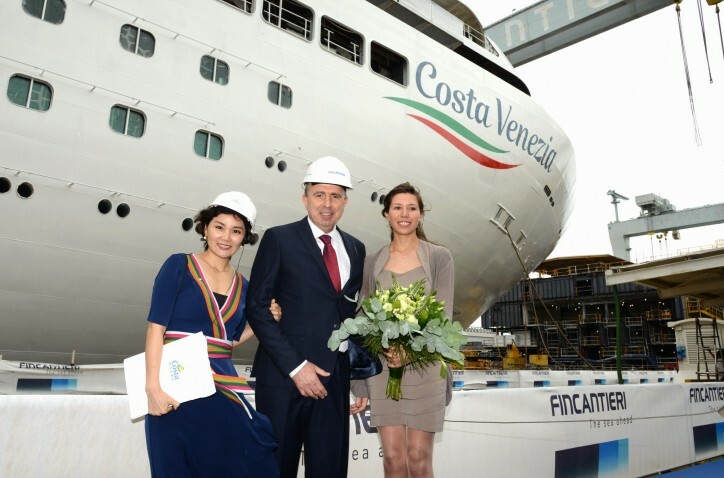 Being built at Fincantieri shipyard as the brand’s first ship designed specifically for the Chinese market, Costa Venezia marks a major milestone for the Italian cruise company and its commitment to future of Chinese cruise industry. Costa Cruises, the Italian brand of Carnival Corporation & plc (NYSE/LSE: CCL; NYSE: CUK), the world’s largest leisure travel company, and Italian shipbuilder Fincantieri, one of the largest shipbuilding groups in the world, Friday celebrated the official float-out ceremony of Costa Venezia (see also CruiseMapper)– the brand’s first ship designed and built specifically for the China market. 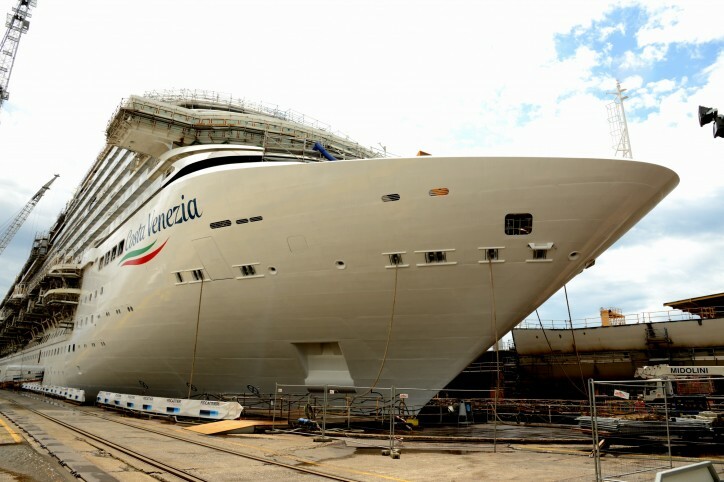 The ceremony was held at the shipyard in Monfalcone, Italy, where the ship is being built. More than just a new addition to Costa Cruises’ existing China-based fleet, the Costa Venezia marks a major step for the company as its first-ever ship built purposely for the Chinese market. Designed with the specific leisure and entertainment preferences of Chinese guests in mind, Costa Venezia will bring to life the passions of Venetian and Italian culture through such spectacles as the Carnival of Venice and the city’s famed gondolas. Guests will also be able to sample the delights of fine Italian dining, luxury Italian shopping and world-class Italian entertainment while enjoying home comforts such as a range of Chinese cuisines and Chinese-style karaoke bars. Expected to set sail in March 2019, Costa Venezia will arrive in China next May after a 53-day voyage following in the footsteps of Marco Polo. For the inaugural cruise, Costa Venezia will depart from Trieste in Italy and make its way through the Mediterranean, the Middle East, and southeast and east Asia before arriving at its final home of Shanghai on May 18, 2019. Following this once-in-a-lifetime journey, Costa Venezia will continue treating passengers to unique cruises with an Italian twist throughout east Asia. As part of today’s float-out ceremony, the new Costa ship officially reached the sea for the first time. The celebration followed the protocol provided by the seafaring tradition for such occasions, by flooding the basin where the ship took shape in recent months, following the cutting of the ribbon by the float-out ceremony’s godmother, an employee of Monfalcone shipyard. When it arrives in China in 2019, Costa Venezia will mark the latest step in a long list of innovations from Costa Cruises, the first international cruise brand to begin serving the local Chinese market in 2006. At a length of 323 meters and measuring 135,500 gross tons with a capacity of 5,260 guests, Costa Venezia will be Costa’s largest ship operating homeport cruises from China. It will also be followed by the launch of its sister ship in 2020, which began steel cutting by Fincantieri in Italy earlier this year.